Hexagon Metrology announced today the immediate availability of the Leica Absolute Tracker AT401 Version 2.0. This new firmware version offers improved system responsiveness compared to the previous product generations. 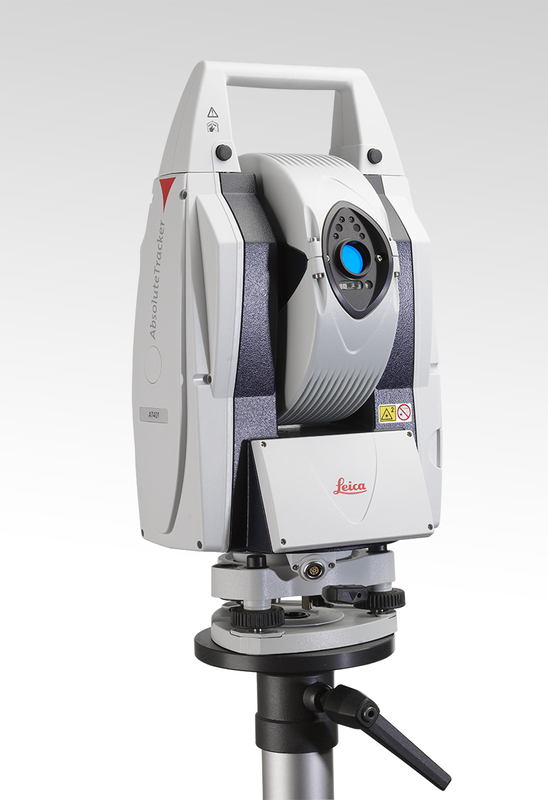 Together with PowerLockvision technology, enhanced wireless operation and out of the box measurements, the new firmware makes the Leica Absolute Tracker AT401 the most portable 3D AbsoluteTracker for traditional inspection tasks or for fully guided measurement processes. The new version of the Leica Absolute Tracker AT401 also comes with a series of functionality improvements. Users can now select between four predefined measurement profiles that adjust the instrument settings to any measurement condition at the click of a button. Operators no longer need to worry about complicated settings like the number of samples, or measurement frequency. In addition to the standard mode offering top performance for daily operation, users can easily change settings for applications that require exceptional speed or accuracy or even for outdoor measurement tasks. The AT401 now offers extended WiFi access point functionality for complex LAN setups. It is now possible to connect multiple devices, e.g. the system computer and an iPod with the Remote App for the SpatialAnalyzer application software, to the tracker controller. The new AT401 TrackerPilotincludes a new graphical user interface that simplifies the check and compensation process. All new Leica Absolute Tracker AT401s are already shipping with version 2.0 on board. However, all existing AT401s can be easily updated to take advantage of the new functionality. No advanced knowledge is needed to update a system. Simply drag and drop the update file into the TrackerPilot and the rest is handled automatically. With more than 20 production facilities and 70 Precision Centers for service and demonstrations, and a network of over 100 distribution partners on five continents, we empower our customers to fully control their manufacturing processes, enhancing the quality of products and increasing efficiency in manufacturing plants around the world.For more information, visit www.hexagonmetrology.com.